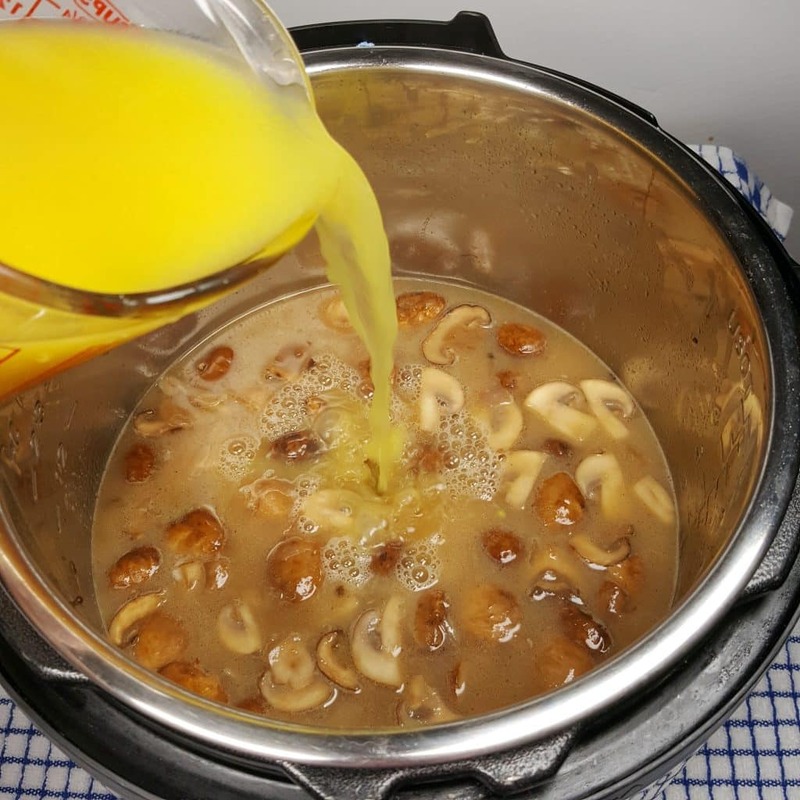 Pressure Cooker Chicken Marsala Mushroom Soup is a low carb/keto creamy and flavorful marriage between Chicken Marsala and Drunken Cream of Mushroom Soup. By now, you already know that I don’t like canned stuff, especially, Cream of Mushroom Soup, or any Cream of Soup. My Pressure Cooker Pork Chops & Homemade Mushroom Gravy recipe is made with Homemade Cream of Mushroom Soup, based on my Cream of Anything Soup recipe, sort of. 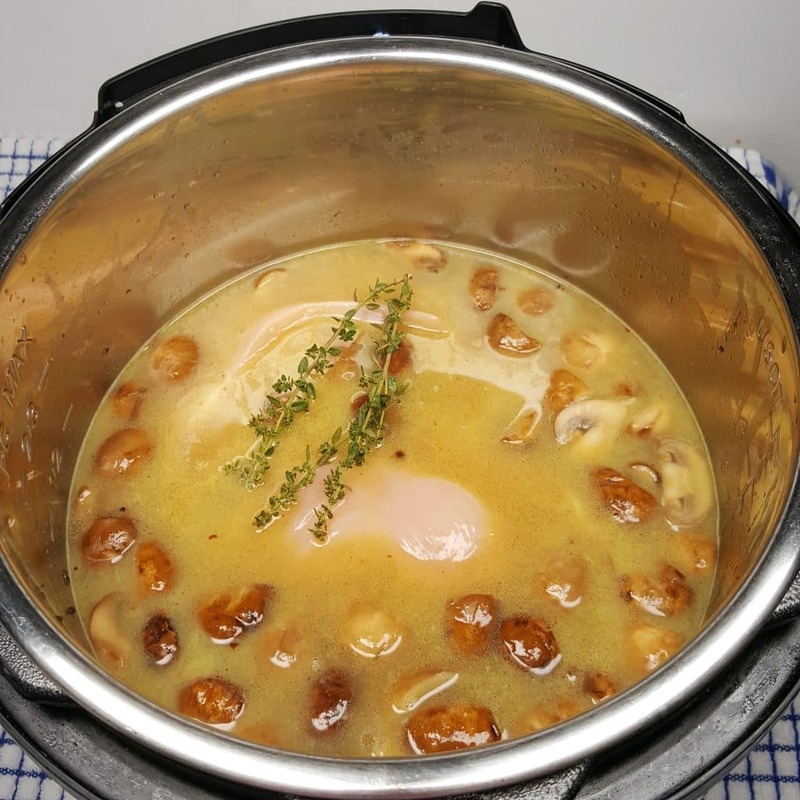 My Instant Pot Chicken Marsala Mushroom Soup contains no Cream, so if you are Dairy Free, this recipe is for you. The Butter can be subbed for another fat and if you are Kosher, the Prosciutto can be omitted or a Turkey Bacon can be used. My basic Cream of Anything Soup is just like the name says, basic. It is designed to be used when a recipe calls for a can of a Cream Soup. This Pressure Cooker Chicken Marsala Mushroom Soup was being saved for This Old Gal Cookbook, which will be out August 2018. However, since the weather has turned chilly and soup is great for warming, I decided to post this up on my blog. I make a killer Cream of Mushroom Soup. I mean K.I.L.L.E.R. Ed loves soup but does not to eat it as frequently, as me. He also loves White Meat Chicken, which is not my favorite. So, since he loves my Instant Pot Italian Chicken Marsala recipe, I had a great idea. 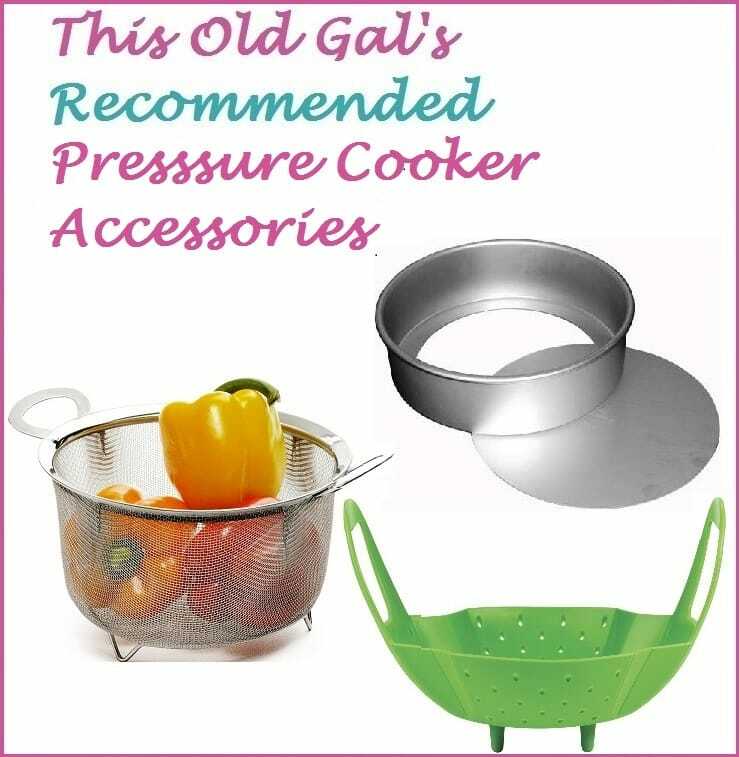 Why not do an Instant Pot, Mealthy MultiPot or Pressure Cooker version of the two, somewhat combined? The best of both Worlds. We both love Mushrooms. 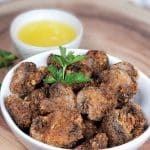 Cremini Mushrooms are our go-to Mushrooms in the grocery store. We have lots of Asian markets in our area and they carry all kinds of Mushrooms. Fresh or Dried Enoki are fun to use. I’m able to get them Fresh. Mix up the Mushrooms or just stick with Cremini, your choice. I don’t suggest using the White Button Mushrooms as they pretty flavorless. If you keep Kosher, Turkey Bacon can be subbed for the Prosciutto. A trick I used when cooking Prosciutto or Bacon, is to start out cooking the meat with just water. The fat will begin to seize and it won’t render out as much, so the final result is more Prosciutto or Bacon, with crispy fat. After the water has evaporated, a little Extra Virgin Greek Olive Oil or Grapeseed Oil is used. I’ve been using the Kasandrinos brand for a few months now and I really like the flavor. Since there is already Extra Virgin Greek Olive Oil, which is a high heat oil, in the cooking pot, the Butter will behave better. Mushrooms, Shallots, Onion cooked in Butter are heavenly. This makes a wonderful base for my Pressure Cooker Chicken Marsala Mushroom Soup. 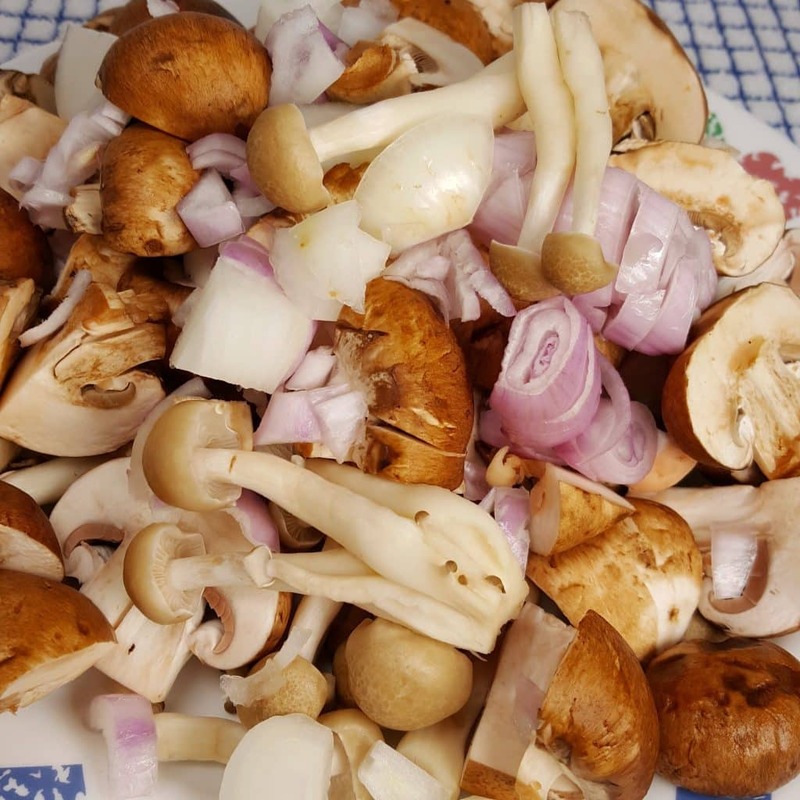 Using Sherry or Marsala Wine to Sauté Onions, Shallot and Mushrooms take the flavors to a whole other level. Make sure to use a DRINKING Wine, not a cooking Wine. Cooking Wines belong, well, I can’t tell you where they belong! Add in the Butter and it is over the top. My choice for Bouillon is almost always Better than Bouillon. The products contain no MSG and the flavors are awesome. For a better flavor Boost, I like to add an extra teaspoon of Roasted Chicken Base per every four cups of Fresh Water. So, take a Measuring Cup and Whisk together the Chicken Base with the Fresh Water. 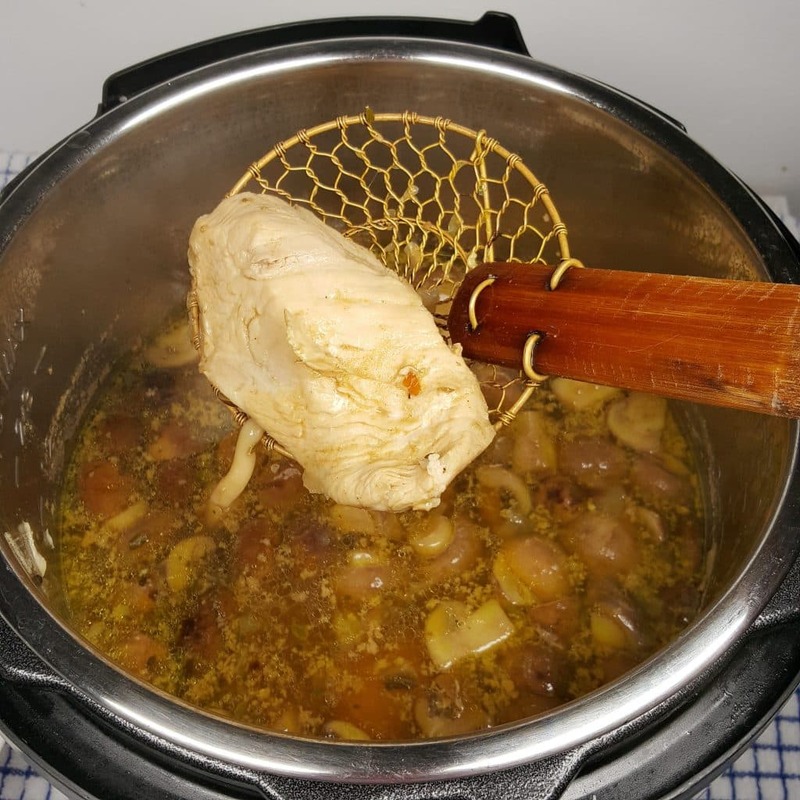 Alternatively, you could use your Pressure Cooker Homemade Bone Broth, as it is super flavorful too and not bland, like most packaged broths. Fresh Thyme gives the Pressure Cooker Chicken Marsala Mushroom Soup, a nice fragrance. You can sub that out for a pinch of Ground Thyme if you like. 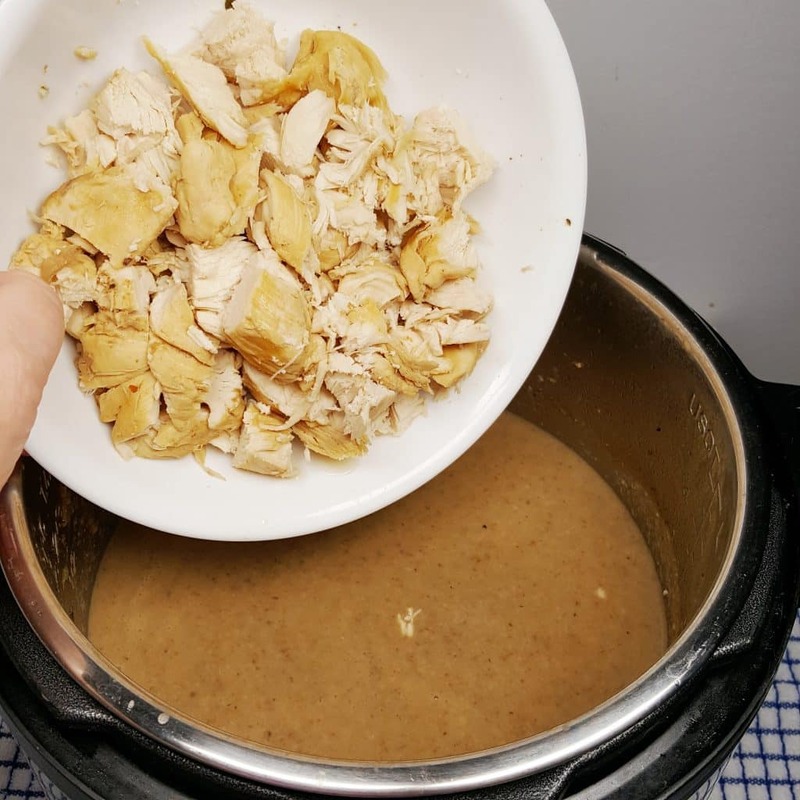 Since an Instant Pot, Mealthy MultiPot or Pressure Cooker is being used, the cook time is short and the chicken will be moist, juicy and perfectly cooked. With a Strainer, carefully remove the Chicken from the very hot Broth. Shred or Slice the Chicken. 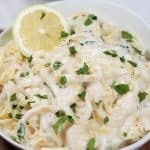 Or even turn it into Chicken Salad and forget to add it back to the Chicken Marsala Mushroom Soup. 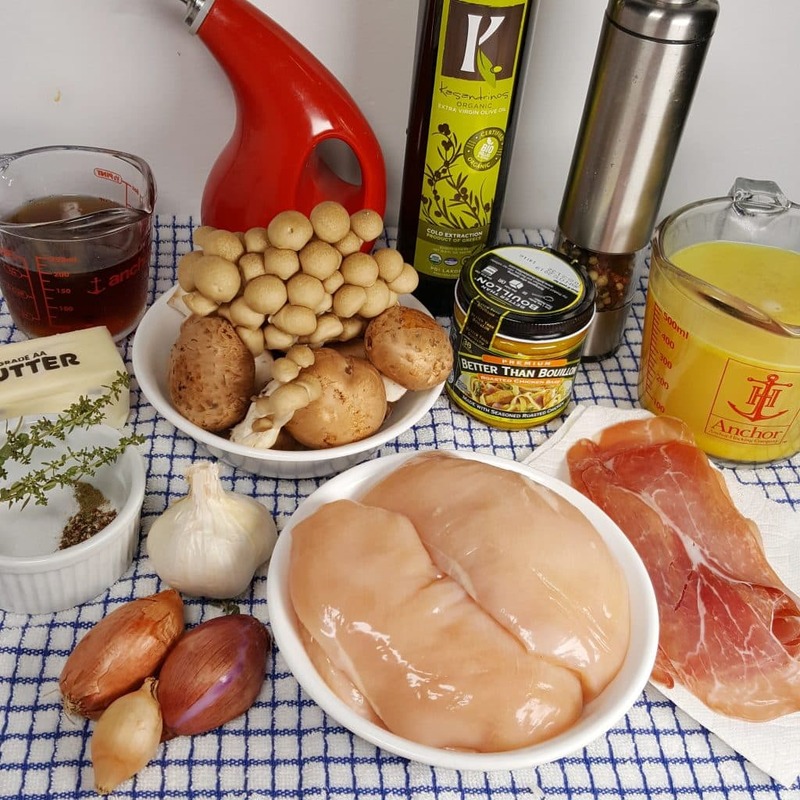 Pressure Cooker Chicken Marsala Mushroom Soup is naturally Low Carb. If you want to thicken the soup and you are following a keto or low carb diet, use a little xanthan gum in a slurry to thicken the soup . 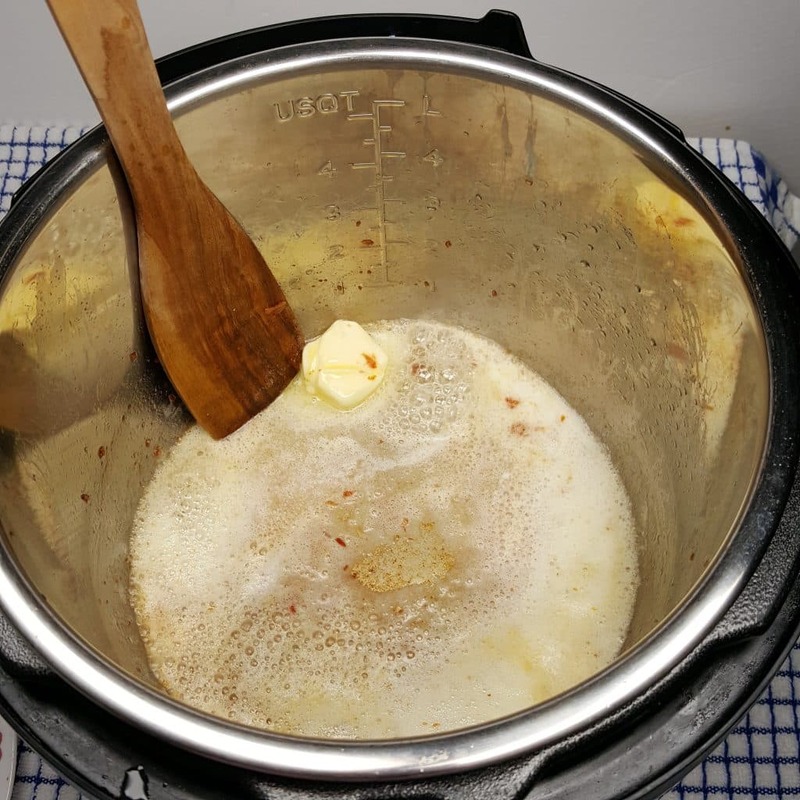 If you are not following a keto or low carb diet, a Tablespoon of potato starch added at the end in the form of a slurry will nicely thicken the soup. You can choose to make a thin Soup or a thick soup. You can even leave the Chicken in the Soup and blend it all together, in which case, you will not need to thicken the soup at all. But then you won’t have the nice chicken chunks to sink your teeth into. That is the point of this recipe, right? Ed prefers soup with bite, rather than smooth. And I will enjoy the Both. Which is not so bad, right?? 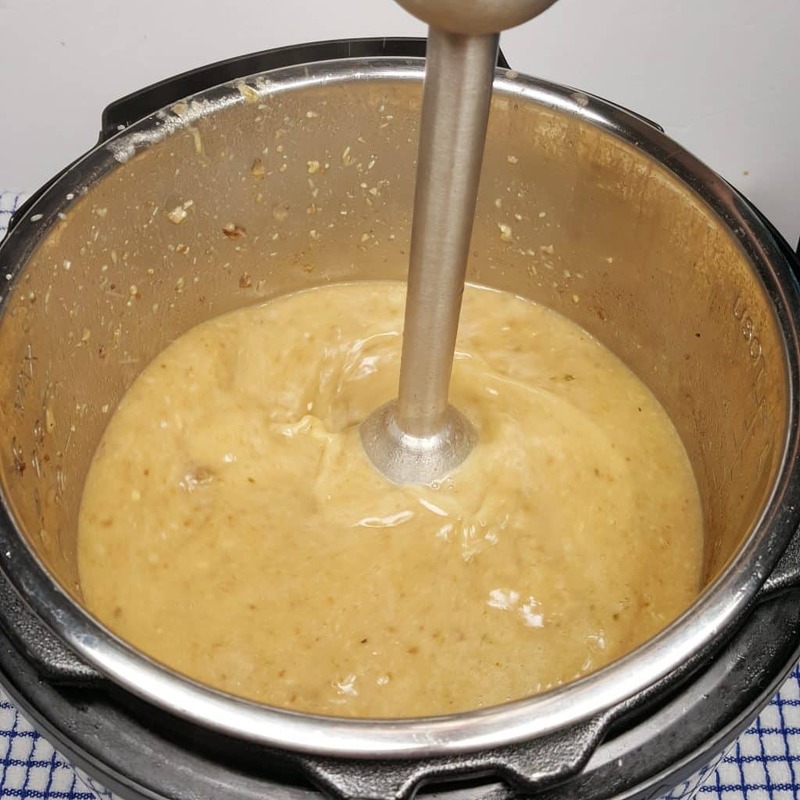 Use a good Immersion Blender to process the Soup to a smooth consistency. Immersion Blenders are not too pricey, so get a good one, or at least the best you can afford. 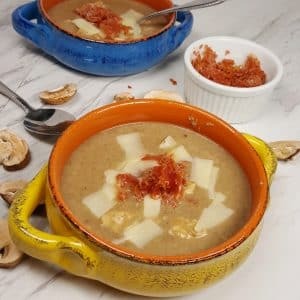 You won’t need any cream for the “Cream of” Soup and the flavors will be full and delicious. Toss the Chicken back into the Pressure Cooker cooking pot. For more delicious soups, check out my Pressure Cooker Zuppa Toscana Italian Soup recipe. One of my favorite all-time recipes is my Pressure Cooker Seafood Corn Chowder. Not only is it delicious, but here is a secret. I nailed it on the first try. 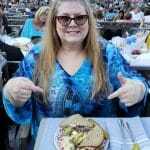 My recipes are tested thoroughly and made over and over again before I dare to post them up for you to try. The Pressure Cooker Seafood Corn Chowder was exactly the perfect flavor and texture that I wanted. No changes were made whatsoever. Try it and let me know what you think. 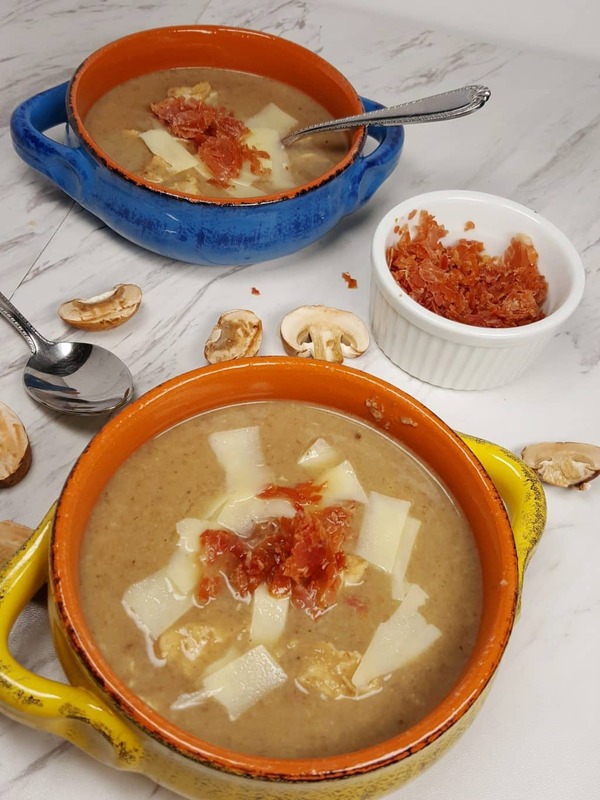 In the original version of my recipe, the Prosciutto was cooked with the Soup and Crispy Croutons were added. I love this version much better! 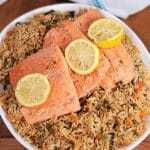 This keeps it Low Carb and it is also Gluten Free! 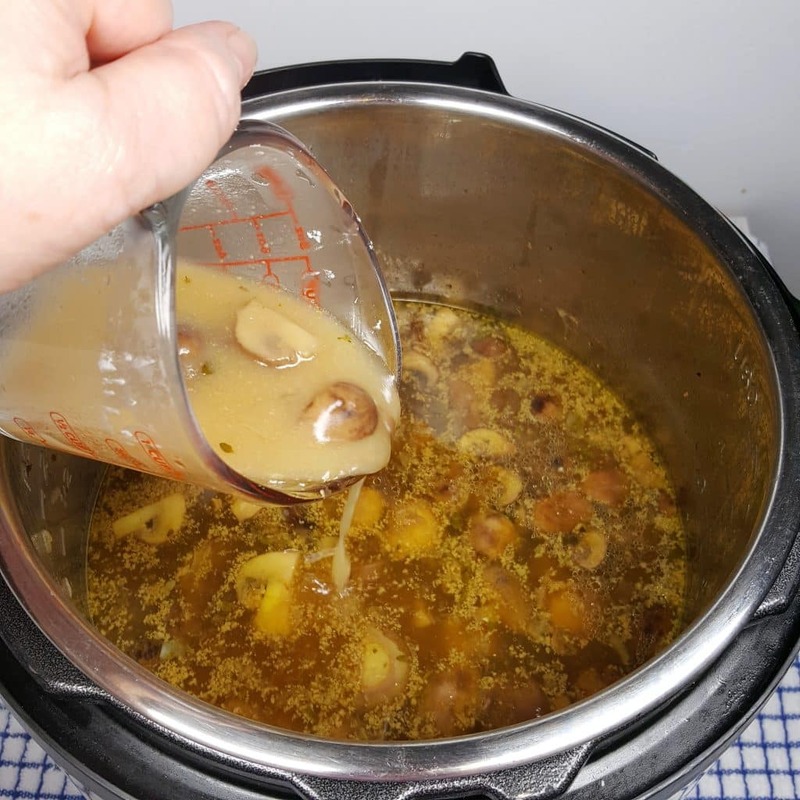 For another Low Carb recipe, check out my Pressure Cooker Chinese Hot and Sour Soup. Shredded Asiago Cheese and Prosciutto is a great topper. If you prefer Parmesan, use Parm. Or use nothing, your choice. I forgot to add the Parsley. 🙁 It would add flavor and make the photo not look so ugly. Ed LOVED it! He was like, soup again, no, you know I don’t like to eat soup more than once a week. Then he tasted it and said, did you photograph this yet. I said yes, why. He said because I want another bowl! True story! Enjoy this soup with a Hot Crusty Sourdough Boule or an Instant Pot Yogurt Dutch Oven Crusty Bread. Mix together 4 cups Fresh Water and 5 heaping teaspoons of Roasted Chicken Base. Set aside. 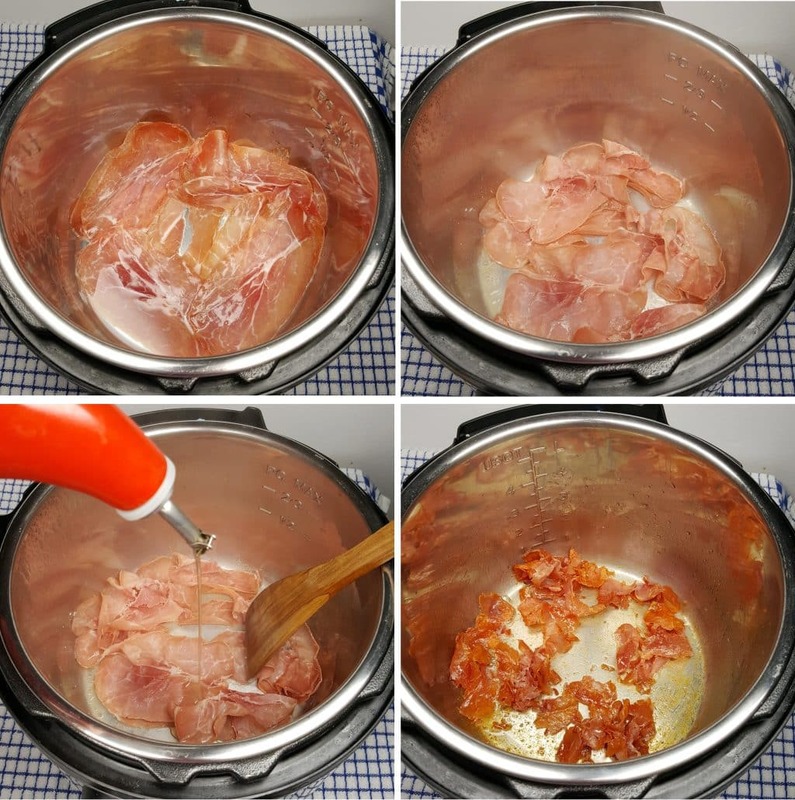 Place Prosciutto and 5 Tablespoons Water into a cooking pot. Select Sauté/Browning and cook until Water has almost evaporated. Add 2 teaspoons Olive Oil. Use a spatula to break up Prosciutto and cook until crisp, approximately 6 minutes. Be careful not to let the Prosciutto burn. 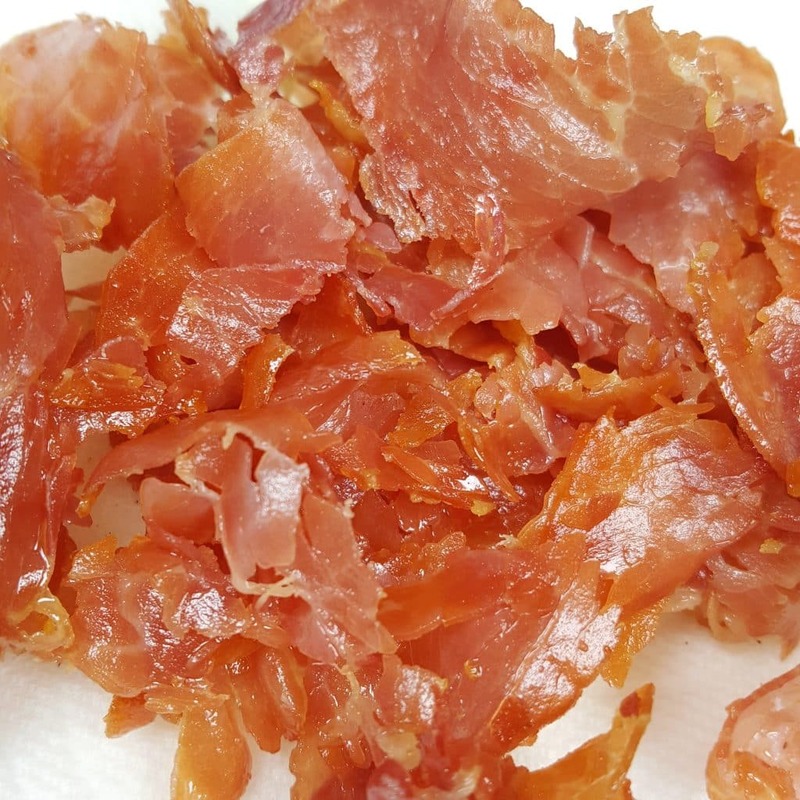 Remove Prosciutto to a plate lined with a paper towel. Chop with a sharp knife when cool and set aside. Add Butter and swirl it around to melt. Add Shallots and Mushrooms and cook until Shallots are soft and liquid has evaporated. Add ½ cup Marsala and Garlic and Sauté for about five minutes. Add the rest of the Marsala, Salt, Marjoram, and Pepper and bring to a simmer. Mix in Chicken Broth. Place Chicken into the pot and add Thyme. Lock on the lid and close Pressure Valve. Cook at High Pressure for 3 minutes. When Beep sounds, wait 10 minutes and then release pressure. Open Lid, discard Thyme Twigs and remove Chicken to a cutting board. Remove ½ cup of liquid and add xanthan gum (keto) or potato starch (non keto). Whisk to form a Slurry. Pour Slurry into Soup and mix. Use an immersion blender and blend until Soup is smooth. Cut Chicken into chunks and return to soup. Ladle into bowls and top with shaved Asiago Cheese and Crumbled Prosciutto. Garnish with Parsley. Make sure to use a good Marsala, not one that is labeled for cooking. A good Marsala is one that you would enjoy drinking. Wild Mushrooms are delicious in this soup. Mix them up with some Cremini Mushrooms. 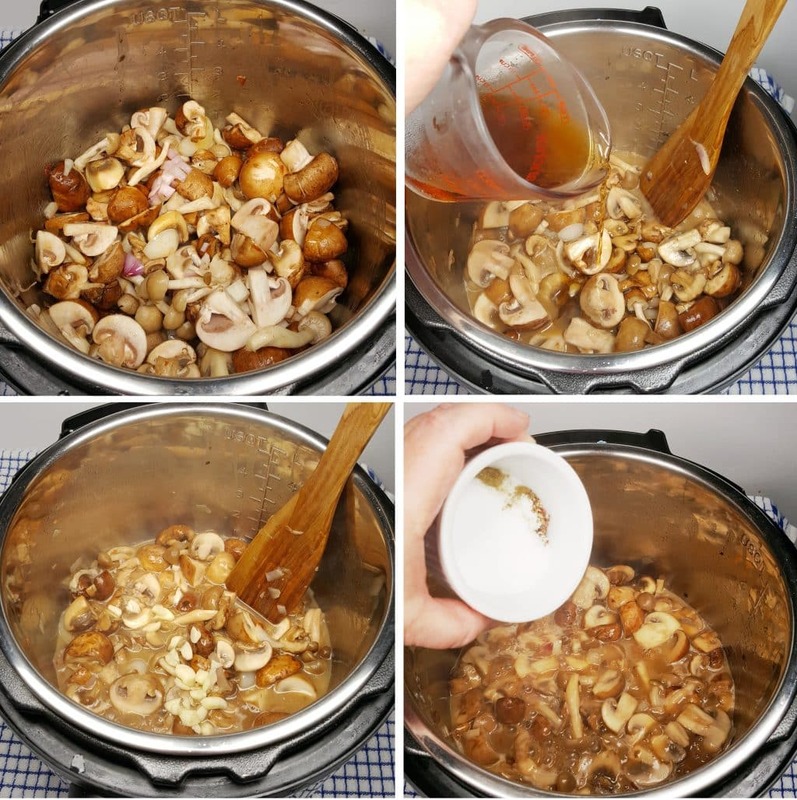 PIN this Instant Pot Pressure Cooker Chicken Marsala Mushroom Soup! This looks yummy! 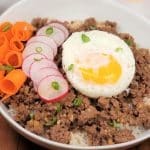 I love all of your recipes and the hints you have for best using the Instant Pot. 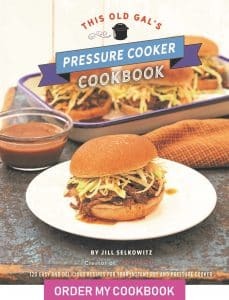 I have already signed up for your cookbook and am anxiously waiting. THANK YOU so very much for all you do! This looks great! Marsala is one of my favorite meals, but the traditional way is SO labor intense. I like all things turned into soup form, so I bet this is great! Fabulous flavor. Hubby asked for this to be a reapeat in dinner repitoire. I didnt blend the mushroom into the broth at the end so didn’t have a thick soup texture. But I wanted to see the lovely mushrooms in my bowl.